(1) Anglo-Saxon Chronicle, C Version, entry for 1066. 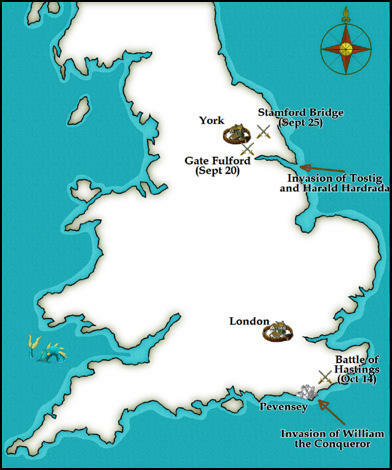 There was one of the Norwegians there who withstood the English host so they could not cross the bridge nor win victory. Then an Englishman shot an arrow, but it was no use, and then another came under the bridge and stabbed him under the corselet. 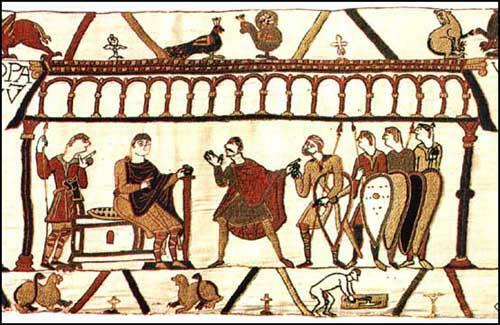 Then Harold, king of the English, came over the bridge and his host with him, and there killed large numbers of both Norwegians and Flemings, and Harold let the king's son Hetmundus go home to Norway with all ships. The Norwegians who survived took flight; and the English attacked them fiercely as they pursued them until some got to the ships. Some were drowned, and some burned, and some destroyed in various ways so that few survived and the English remained in command of the field. The king gave quarter to Olaf, son of the Norse king and all those who survived on the ships, and they went up to our king and swore oaths that they would always keep peace and friendship with this country; and the king let them go home with twenty-four ships. 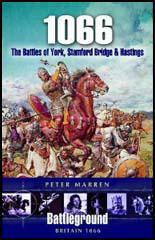 (3) Florence of Worcester was a monk who wrote an account of the Battle of Stamford Bridge in about 1125. 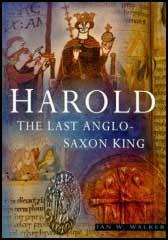 Harold, king of the English, permitted Olaf, the son of the Norwegian king, to return home unmolested with twenty ships and the survivors, but only after they had sworn oaths of submission and had given hostages. Harold should empty the whole of the countryside behind him, block the roads, burn the villages and destroy the food. So, even if Gyrth was beaten, William's army would starve in the wasted countryside as winter closed in and would be forced either to move upon London, where the rest of the English forces would be waiting, or return to their ships. 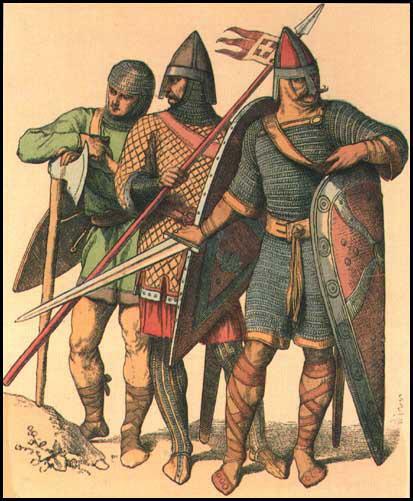 The speed of his advance has always drawn superlatives from historians used to the ponderous pace of medieval warfare, but it may be that a good deal of his force was on horseback and that, as was the custom with Anglo-Saxon armies, they dismounted before fighting. Such mounted infantry could manage twenty-five miles a day. They were also expected to have at least two horses, riding one and allowing the other to proceed unburdened. Harold no doubt could also expect, as king, to commandeer fresh horses along the way. If he did literally ride day and night he could have made Tadcaster in four days, although that would mean without sleep.